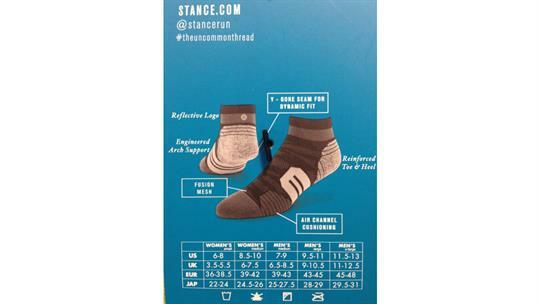 When you think you've met your limits, let Stance's Threshold Crew help you run right past them. With anatomically correct designs for the left and right foot, this Fusion Run performance sock delivers unmatched comfort and individualized compression support to help you push through just one more mile. To keep feet cool and dry, this mid-length athletic sock sports special moisture-wicking fibers that lift sweat from feet so it can evaporate faster, while mesh vents and air-channel cushioning enhance airflow down below. And when you finally push past whatever's holding you back, these socks will hold up their end of the bargain with durable reinforced heels and toes. 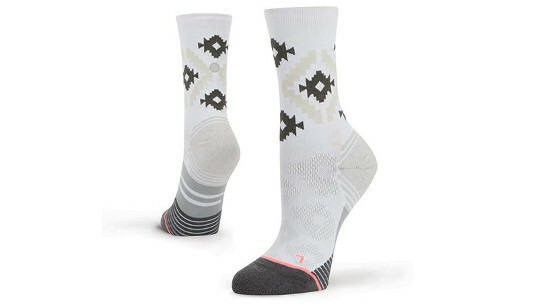 Go the distance in Stance's Threshold Crew.